The Isle of Tiree is the most westerly island of the Inner Hebrides. 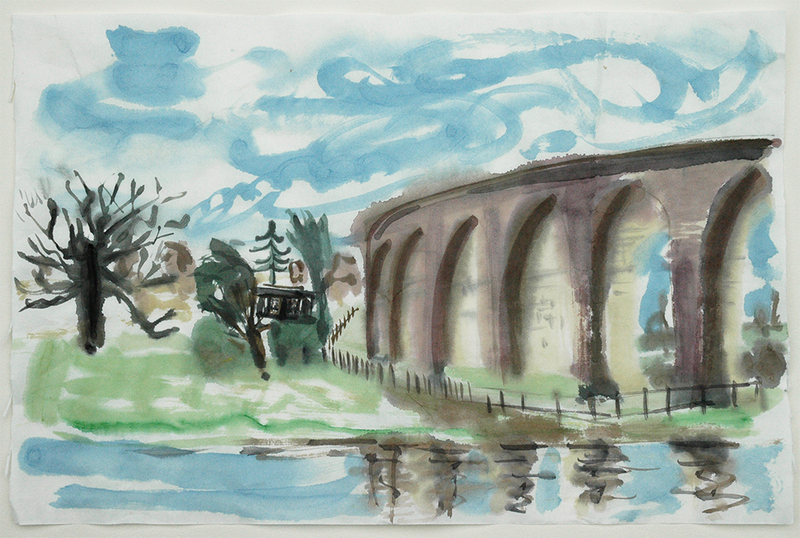 The viaduct was engineered by James Bray for the Leeds and Thirsk Railway, c.1850. Being local, I am honoured to have my paintings on show at The Three Hulats for the next two weeks as part of the Chapel Allerton Art Trail 2014, organised by Inkwell and Chapel Allerton Arts Festival. My pictures are in the darts room, so be careful. Lots of local artists are getting exposure during festival week. Download a map here. The Offical Opening of the event happens on Tuesday 26th August, 6-9pm. Follow the art trail along the 18 locations on Harrogate Road from Inkwell to Further North Bar (about half a mile). Everyone is welcome! There’s an Art Trail Artists’ Talk on Thursday 28th August, 6-8pm at Inkwell. I’ll be taking part, along with fellow artists Nick Claiden, Helen Dryden and Fred Pepper. The wall is black. And full of colour. Made of sunlight, tree branches and holes. 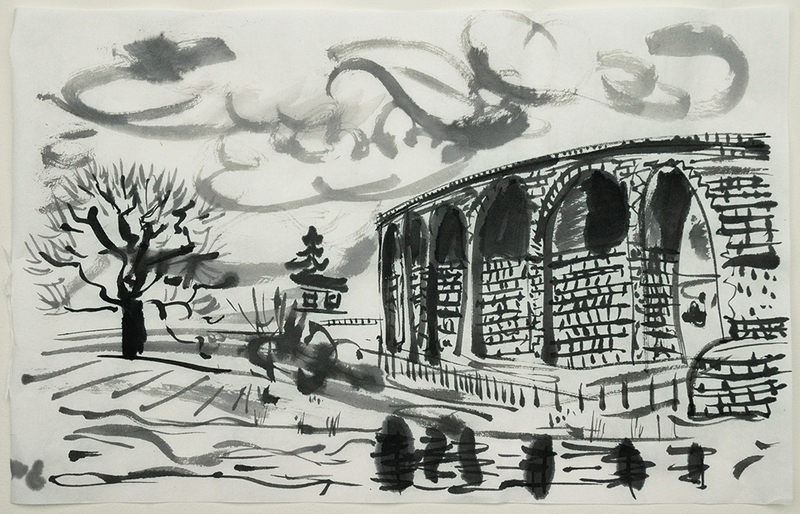 More Chinese ink, the first picture is painted on greaseproof paper made in 1988. The last two are on rice paper from this century. 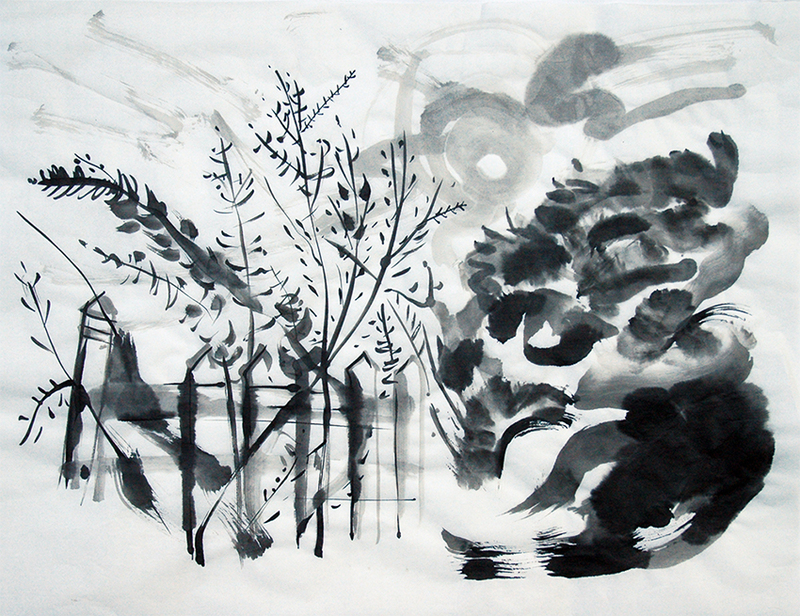 Using a Chinese ink stick, the first painting is done with sable brushes. The second picture is drawn with home-made bamboo pens. The last image is painted with Big Cloud, a Chinese brush. Indian Ink, Chinese brushes, Czech paper – come together in an English wood. A taste of what’s on show at the exhibition of my paintings at Horticap this month. There’s a rolling program of artists exhibiting at this venue in 2013 – here’s the blogspot to see what’s on.